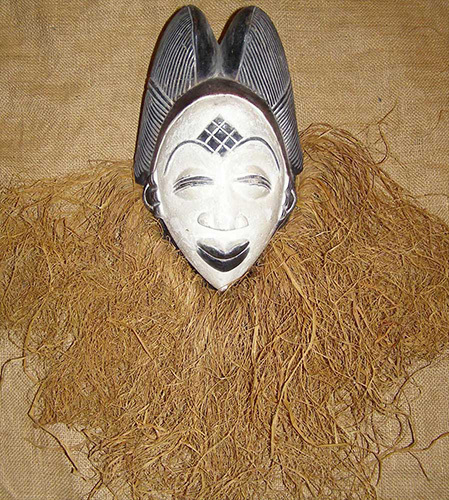 African art and masks from the Punu. 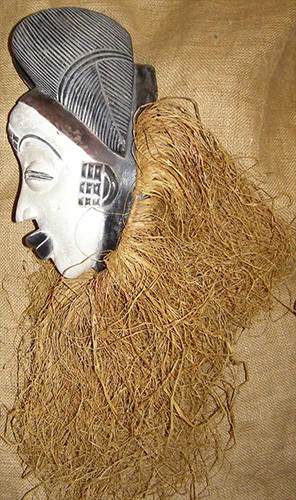 This beautiful African Punu mask measures 12 inches tall and 7.5 inches wide, not counting the raffia beard. It was hand-carved of wood in the African nation of Gabon.